Do Not Throw Away Your Avocado Seeds: They Prevent & Fight Cancer! You may well know the many well-documented benefits of avocados in your diet, but did you know that the seeds are even better? 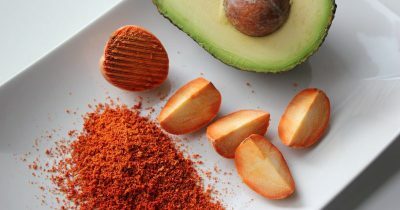 It’s true: Avocado seeds are even richer in antioxidants than the fleshy fruit, and we’re here to tell you all about it. 1. Kills Cancer Cells: 70% of the antioxidants in avocados are found in the seeds. The seeds contain flavonol, a powerful antioxidant that helps to prevent and reduce tumor growth. A 2013 study published in Pharmaceutical Biology found avocado extract from the flesh caused leukemia cells to self-destruct. In a more recent study published in the peer-reviewed journal Cancer Research, researchers discovered that a compound found in avocado seed extract called avocatin B was effective against acute myeloid leukemia cells. In total, study researchers tested 800 natural health products against the human acute myeloid leukemia cells. 2. Strengthens The Immune System: Avocado seeds contain procyanidins and catechins. They have anti-inflammatory properties that reduce stiffness, swelling, joint pain and diseases. Flavonol in avocado also boosts the immune system and help protects from cold and flu. 3. Heals Digestive Issues: For centuries, avocado seeds have been used in South America to treat gastrointestinal tract issues, including gastric ulcers, constipation, and diarrhea. These anti-inflammatory seeds contain more soluble fibers than most other foods on our planet! 5. Live Longer, Feel Better: The seeds don’t just help you look younger, they help you feel younger too. Compounds in avocado seeds have the ability to reduce bone disease, joint discomfort, and aches and pains. Antioxidants neutralize free radicals that cause illness and premature aging. Avocados and their seeds, actually slow down the aging process because of their ability to synthesize collagen. Avocado seeds can lower blood glucose levels and help you maintain a healthy weight. Due to its high content of good fats, you will stay satiated for longer, meaning you won’t be munching on snacks all day long.